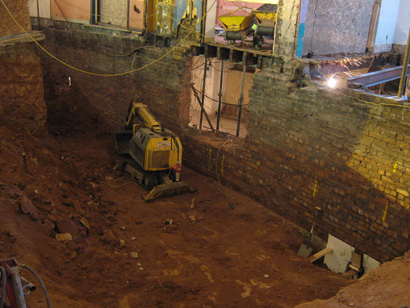 It’s almost the end of May and the excavation works for the lower stalls ‘Patrons Bar and Gallery’ are coming along famously with the Gallery space taking shape from the tons of sandstone being hewn out of the bedrock under the Plaza. 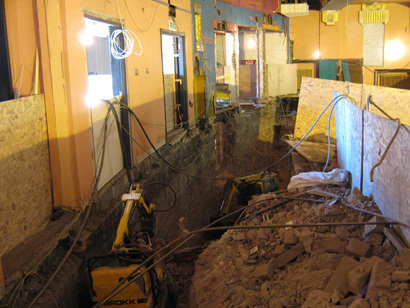 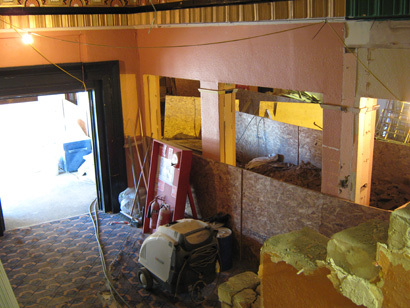 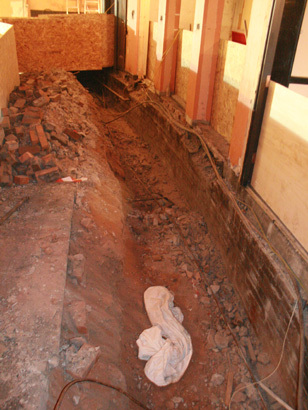 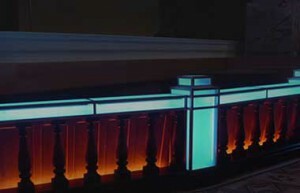 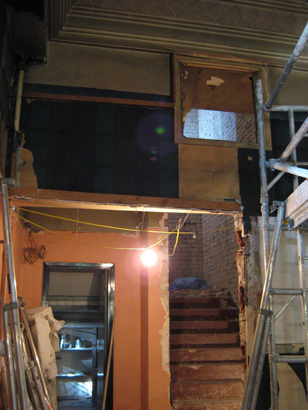 The General Managers office on the ground floor has disappeared in a resounding crash to make way for one of the three staircases that will lead down to the Patrons Bar and Gallery whilst the main foyer has now tripled in size back to its former layout with the removal of the modern box office, admin office and sweet kiosk area. 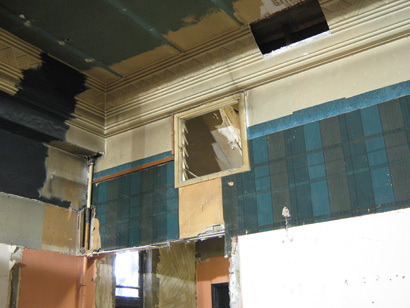 On the first floor leading from the Lounge Cafe Bar towards the Gents toilets and Projection Room the full head height of the ‘back’ staircase has been uncovered along with a colydoscope of colours and patterns in the various wall paper samples that have graced the wall of this public area which during its incarnations was a silver service restaurant, an annexe of the bingo hall and at one time Samantha’s Night Club. 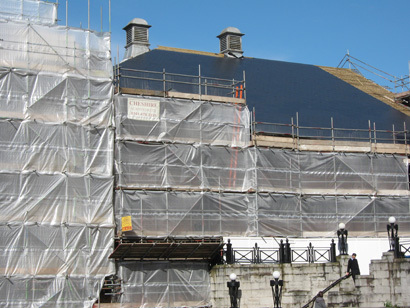 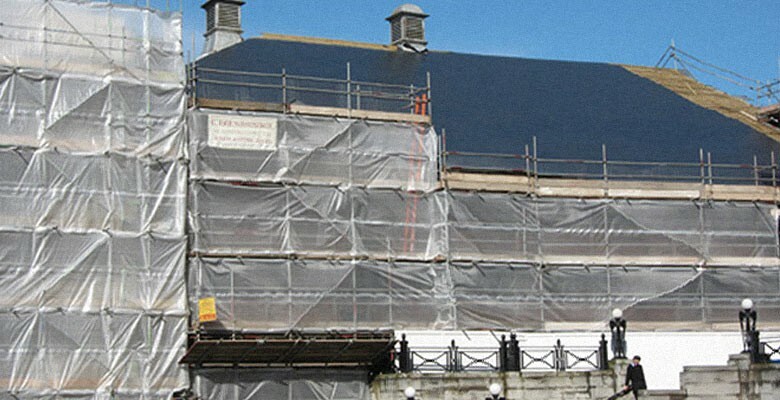 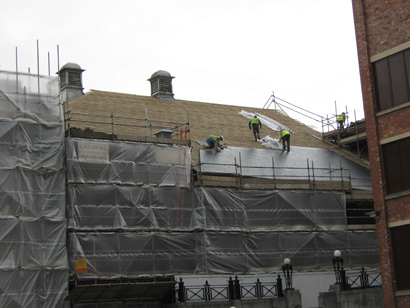 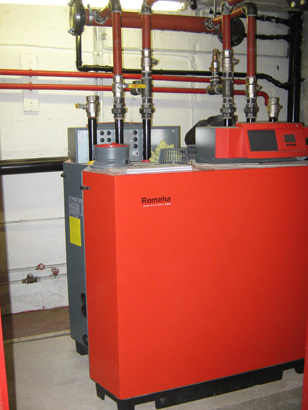 The Plaza during this restoration will see the overhaul of our heating system with the installation of new boiler equipment in the red boiler room and the restoration of slate roofing in keeping with the original slate tiling.